All Blinds Co., Ltd. has been serving the window coverings industry for 38 years. From the moment you consider our company to your first purchase order and beyond, we will do everything in our power to make sure you are thrilled with the products you select and the service you receive. Our sales team in 3 branch offices and factory all over the world will support you every step of the way, every member of our team is ready to bring their expertise to your every need. Our commitment to customer satisfaction is unmatched, which is why our customers have been long term collaborations with us for over 38 years to buy their window covering products. All Blinds Co., Ltd is a one-stop shop for all your window coverings and sourcing needs, as a family owned business, we love what we do. It’s who we are. 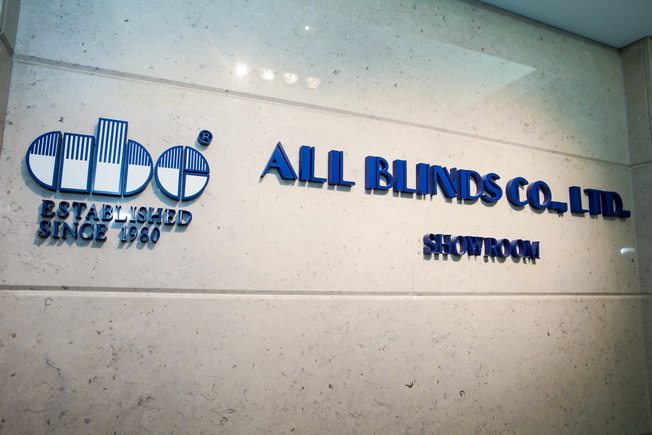 All Blinds Co., Ltd was founded in 1980 with the core values of developing superior quality window products while providing premium customer service with competitive pricing. We work with the cultural belief that transparency and collaboration should be a cornerstone with all our business partners. Our core values structure the every day thrum of all of our offices and guide the actions of every single employee from the CEO to our factory workers. Our mission is to provide a wide range of quality products such as Timber Blinds, Faux Wood Blinds, Fabric Roman Blinds, Roller Blinds, Vertical Blinds, and Drapery Hardware, and etc., to our ever-expanding global customer base, and each item bearing the All Blinds Co., Ltd name has been made and treated with the utmost attention to detail and respect for our craft. Most importantly, our service after the sale is second to none. We also hold our sub-contracted suppliers to the same standards we uphold ourselves, so you can bet you’re getting first-class product. Our future is more important than our past and our commitment to the environment and safety ensures that all of our products come from sustainable and well-managed forests. We are proud to be the first Taiwanese company to be a member of the World Wildlife Fund's Global Forest and Trade Network (WWF GFTN) environmental protection and will continue to be an industry-leader in green products. We also put our products through strenuous tests to ensure no toxins are present. Our products will withstand the test of time and a range of extreme conditions. We hope you enjoy our products and customer service as much as we enjoy offering them to you. Thank you for your consideration in our company. If you have any questions or comments, please don’t hesitate to contact us directly.